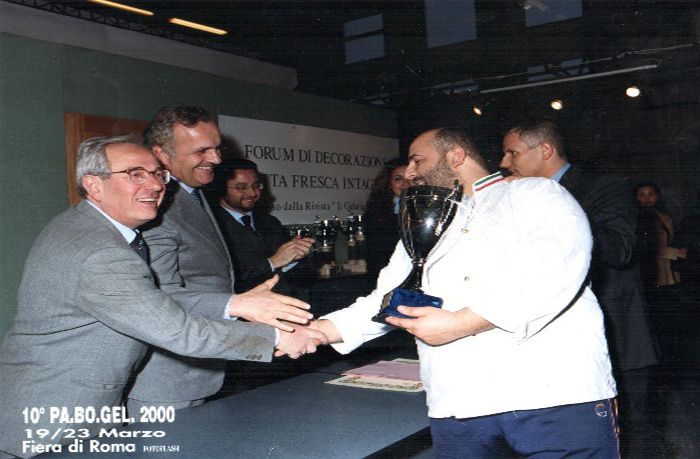 Many times, Italian and European champion of artistic bakery. 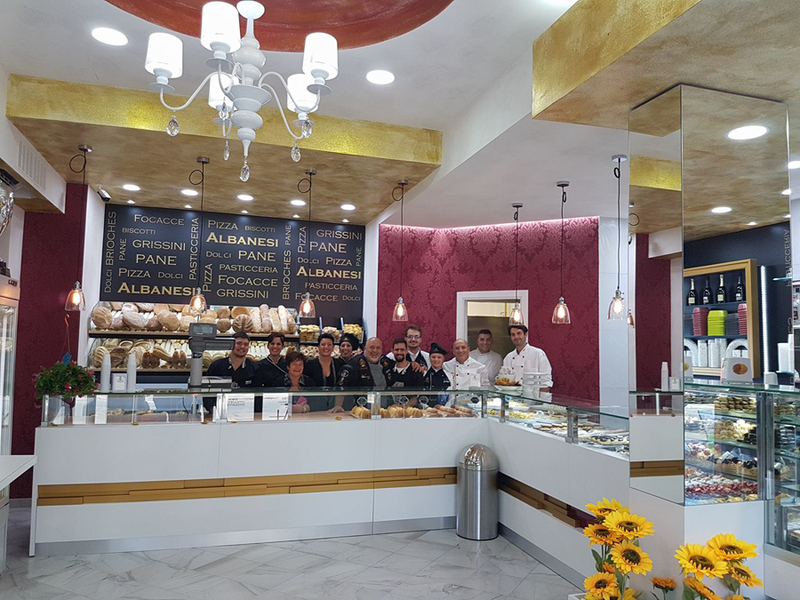 Master Baker Fabio Albanesi is the owner of the three Pregiata Forneria Albanesi points of sale in Rome, Fiano Romano and Senigallia and is preparing to expand overseas. Born in Rome in 1966, he began working in bread making since he was very young and so dealing with a hard and long rise through the ranks that over the years saw him climb the peaks of great success and great satisfaction. In 1987 he formed the first enterprise of his own in which he is still today manager of the whole production process. Two years later Fabio Albanesi, in addition to managing his company, began to get involved in training in the role of teacher in the professional courses of the school of the Lazio Region concerning baking and pastry making for which the school recognized him with the official title of Maestro Panificatore e affini. (Master Baker and similar). Over the years he widened his skills and specializes in artistic, common, special, pizza, pinza, gastronomy and pastry baking to the point that the rest of the world also noticed his great professionalism. Today he collaborates with companies in Italy and overseas in Russia, the Emirates, America, Egypt and Belgium. His great skills and love for this profession led him to become 5 times National and 1-time European champion of artistic bakery. Only to be received by three Popes: Pope JOHN PAUL II, Pope RATZNGER, and for three consecutive years by Pope Francis. His affirmation in the working world and his great professional knowledge allowed him to receive in 2011 an Honorary Degree in Food Science from the Constantinian University and in 2012 he became a Knight of Malta. Master Baker of the Italian Federation of Bread Makers and technical manager of the junior national team, Fabio Albanesi has made himself promoter and mover for many activities tied to his work. 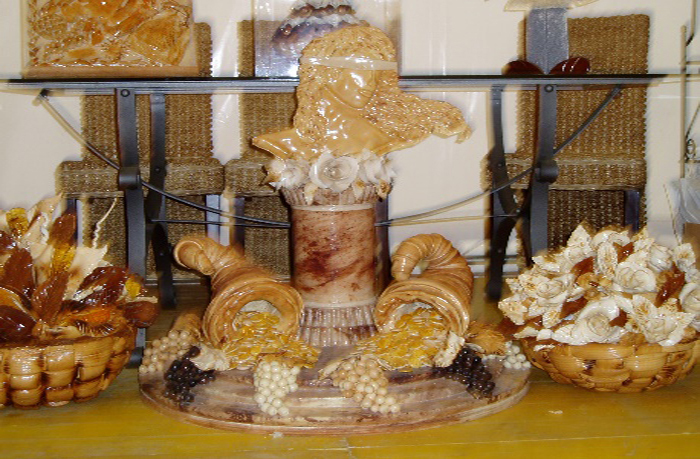 He was the manager of the laboratory of the first “Pane in Piazza” (Bread in the piazza) event in Rome’s Piazza Navona and he created a bread sculpture of about 5m of a Christmas tree that attracted such success that it drew the attention of the major national television broadcasters. From led to a series of invitations to many television programmes such as "Tutti in famiglia", "Uno Mattina", "Geo & Geo", "La Vecchia Fattoria", "30 Ore per la Vita", "Gusto", "Mi Manda RaiTre", while the national newspapers began to be interested in his creations, one of which was the creation of a 40kg Dove for Easter offered to the Tirreno Association for the homeless. Fabio Albanesi has always been active in the welfare field. He has collaborated with the Life Association beside Italian fashion designer Valentino in support of children suffering from AIDS and subsequently he gave his commitment to the "Cento alberi d'autore" (One hundred trees by authors) initiative for Telethon. He promoted a charity dinner that collected funds for NATO military personnel. He managed the Naples laboratory of Pastfood in which he was the protagonist in the collection of money for the Arli Association. After the earthquake in L’Aquila he donated food for about 3,000 people. 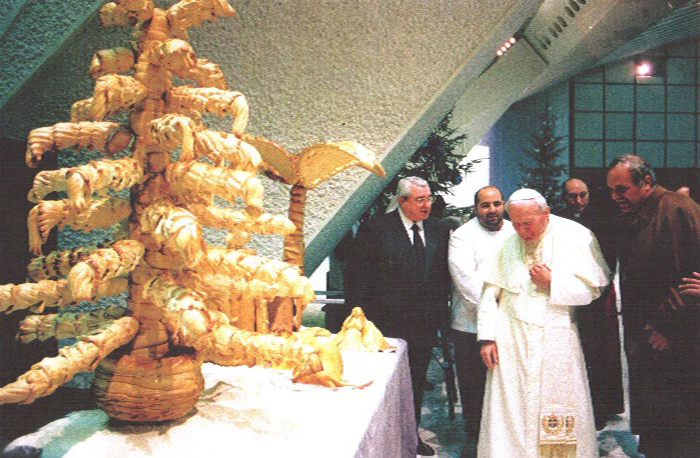 Every year for Christmas he donates a Christmas tree made entirely of bread to the Marta Russo Foundation. Pregiata Forneria Albanesi is the famous Italian company that specializes in products for baking, craft pastry shops, bars, gelaterie and gastronomy. Founder and Master Baker is Fabio Albanesi, world famous leader in gastronomy. Pregiata Forneria Albanesi is a solid point of reference for lovers of products of acclaimed quality that are prepared with first choice ingredients and by expert and competent hands. Pizzas, gelati, bakery and pastry products are offered by Forneria Albanesi and they can be personalized for any event. We are also available for clients considering catering. If you want to personalize an event our touch of class is just what you need. Do not hesitate to contact us for any type of information or come and visit us at one of our points of sale, we are sure that we will not disappoint your expectations. We are in Roma, Fiano Romano and Senigallia.